A fun set of assorted Synthetic Brushes. Colourful plastic handles with golden ferrules. 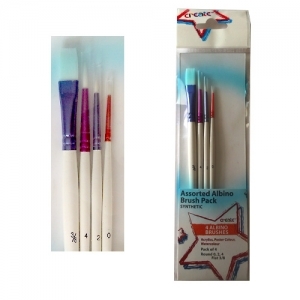 Synthetic brushes suitable for face painting, acrylics, gouache, redimix, poster colour and watercolour. Round brush in size 1, 3 and 5. Flat brush in size 2 and 4.